When a hotel takes the name of its city it’s a sign of high ambition: after all, there can be only one. The Bristol Hotel, of course, isn’t here to make the whole idea of a hotel in Bristol obsolete. 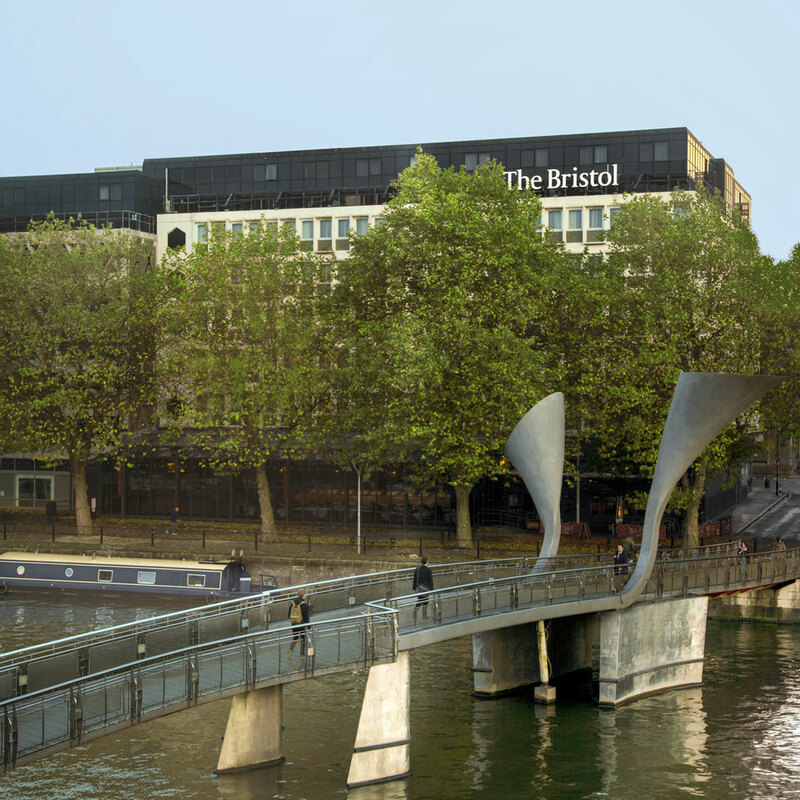 But for boutique-hotel fans, and more generally the sort of travelers you’ll find hanging around the Tablet website, the newly refurbished Bristol Hotel makes a splendid introduction to the city whose name it shares. It’s housed in a somewhat anonymous building, from an era when form followed function perhaps a bit too closely. But after long years in the business we can report that if you’re spending most of your time looking at your hotel from the outside, you might want to reconsider your approach. Anyway all that is forgotten once you’re inside. The interiors are very much up to the contemporary standard, without trying too hard, that cardinal sin of boutique hotel design. The harbour view varies a bit, according to room choice, but it’s always welcome. The in-room amenities, too, are up to the modern boutique standard, from espresso machines to the necessary gadgets and luxe bathrooms. And while there’s no shortage of other restaurants and bars in this, Bristol’s newly redeveloped harbourside district, the River Grille offers a high-end Modern British option.